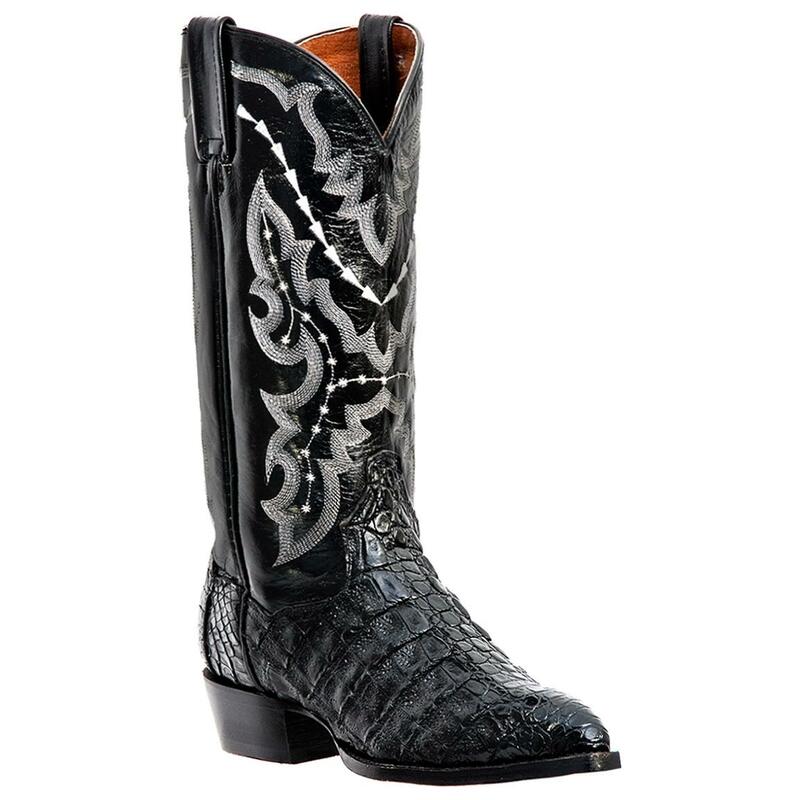 Genuine Cowboy Boots that walk the walk and definitely talk the talk. It starts with the magnificent genuine caiman leather and dazzling design out front. It's sure to turn a few heads around town, and for good reason. Each Boot weighs approx. 28 ozs. 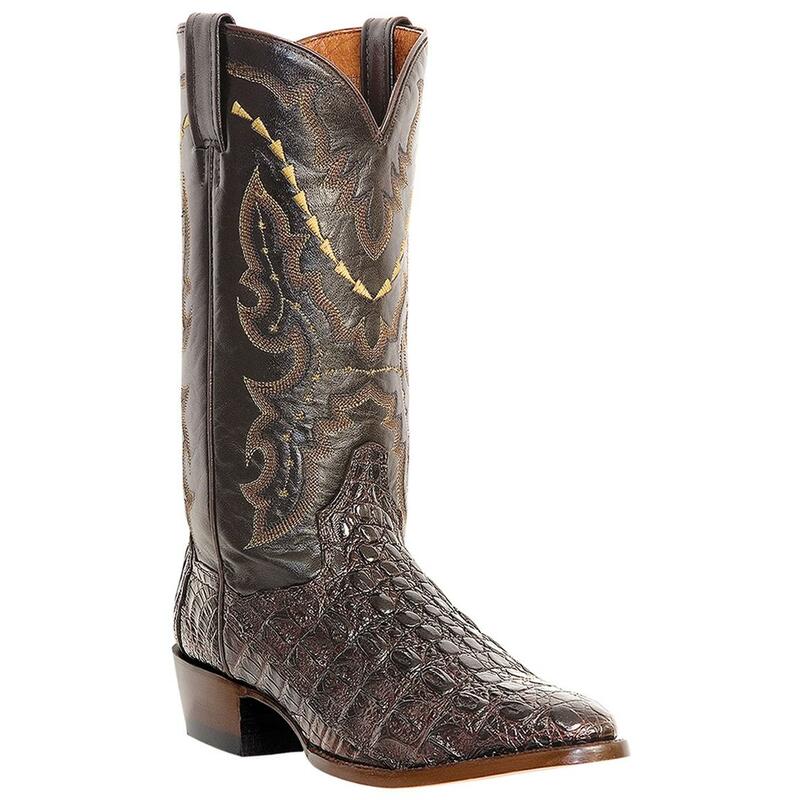 Dan Post Mens Genuine Caiman Western Boots is rated 4.5 out of 5 by 4. Rated 5 out of 5 by Roger from Excellent Fit Thanks for stocking Dan's boots in my size 11EEE. So much easier than getting custom fitted. Shipping was a bit slow, but arrived safely. No break-in needed, very comfortable; work demands staying on the move most of the day. Rated 3 out of 5 by WILLIAM from Had them at a lower price and it got changed in the process of ordering. Caiman looks fake. Rated 5 out of 5 by ROBERT E from I have been wearing Dan Post boots for over forty years, I won't share the number I have, I have never been disappointed. Great looking boot, fits like a glove at a great price!